Haldeman Ford Welcomes Chef Robert Irvine to Kutztown, PA! Haldeman and Chef Irvine Team Up! Recently, Chef Robert Irvine made a switch to Ford and he chose non-other than Haldeman Ford of Kutztown! We are proud to do business with Chef Irvine and look forward to a future 'Meet and Greet' at our location on 222. You can have the opportunity to meet Chef Irvine in person by following us on Twitter, facebook or via newsletter. With more than 25 years in the culinary profession, Chef Robert Irvine has cooked his way through Europe, the Far East, the Caribbean and the Americas, in hotels and on the high seas. As the host of one of the Food Network's highest rated shows, Restaurant: Impossible, Irvine saves struggling restaurants across America by assessing and overhauling the restaurant's weakest spots. Irvine recently established the eponymously named non-profit organization, The Robert Irvine Foundation, in an effort to support military personnel and their families. He was recently awarded the Bob Hope Award for Excellence in Entertainment and Support of our Service Members- a distinguished Patriot Award bestowed upon him by the Congressional Medal of Honor Society. The celebtrity chef has been reportedly fond of his previous Lexus vehicle but recently made a switch to Ford, where he has opted with a fully loaded Ford Expedition. The switch came from a place of practicality, comfort, control and power. 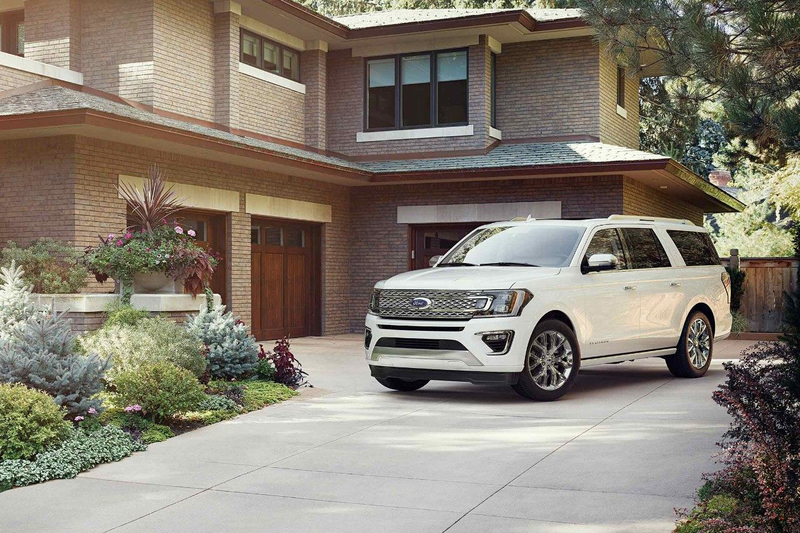 All features that Lexus could not compete with when compared to the 2016 Ford Expedition. And of course, Chef Irvine chose Haldeman Ford of Kutztown as a result of a recent visit in the greater Philadelphia region. See Why He Chose Haldeman Ford of Kutztown!